Locals in Dumfries and Galloway are being asked to share their views on the region’s highways and transport services. The National Highways and Transport Public Satisfaction survey will cover the condition of roads and footpaths to the quality of cycling facilities. It will be sent to a minimum of 3,300 residents by post over the next few weeks, although the survey can also be filled in online. Answers will be compared with the views of other members of the public across England and Scotland, leading to the results being published in October 2017. Local residents in Cumbria are being invited to share their views on the county's highways and transport services. The survey is the largest collaboration between 112 local authorities across England and Scotland, and will be shared in order to improve nationwide services. The questionnaire is expected to be sent to a minimum random sample of 3,300 of Cumbrian residents from Monday, 19 June. Local and national results will be published in mid-October 2017. Providing a well managed highway and transport network is one of the council’s top priorities and we welcome feedback and comments from residents and road users. Trade union RMT has confirmed a strike against Northern rail, or Arriva Rail North, is set to go ahead despite talk of cancellations. The guards and drivers members of the union will walk-out for 24 hours on Monday 13 March. They say the dispute is over retaining train guards and the prospect of driver-only trains. 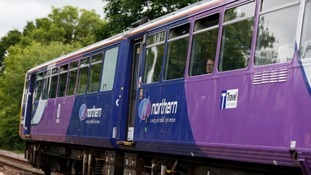 Northern railway and TransPennine Express are holding forums to consider how to improve services for people with disabilities. Transport in Dumfries & Galloway: What next? Residents are being asked for feedback on how to improve transport networks in the region, following a landmark Transport Summit. It’s a year to the day since the Borders Railway opened. Over the last 12 months more than a million people have travelled along the route, linking the Borders with Edinburgh. An official event to mark the anniversary will be held on Friday. Bus passengers in the Borders are being asked for their views on services in the region and how they could be improved. Bus Users Scotland is holding a 'Your Bus Matters' event in Peebles between 10am and 1pm on Tuesday (6 September). It takes place at Burgh Hall on the High Street and will gather feedback from local passengers about both commercial and subsidised bus services in the area. Transport concerns in Dumfries and Galloway will be discussed at a summit today. A report by Audit Scotland last week, found that only 50% of roads in the region were in an acceptable condition. Dumfries and Galloway Council said it was investing millions into repairing the roads across the county.